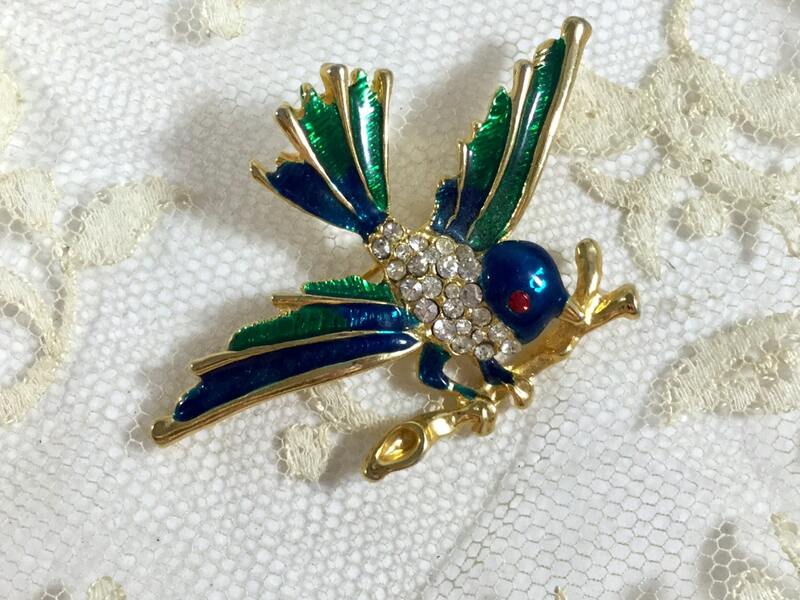 A vintage 1980s gold tone fancy emerald green and sapphire blue enamel and rhinestone unsigned bird brooch. 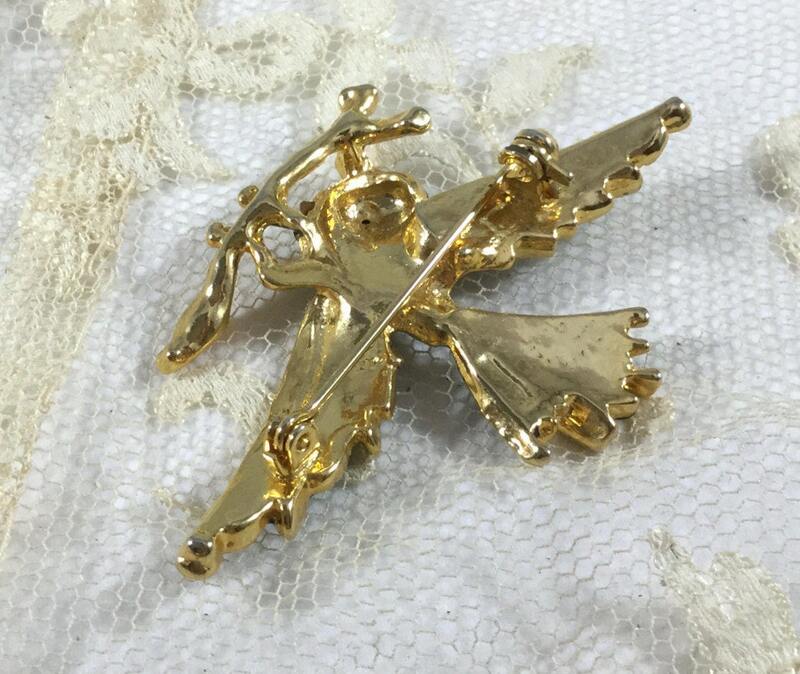 It measures 2 1/4" x 1 1/2" and the pin closure is straight and works well. 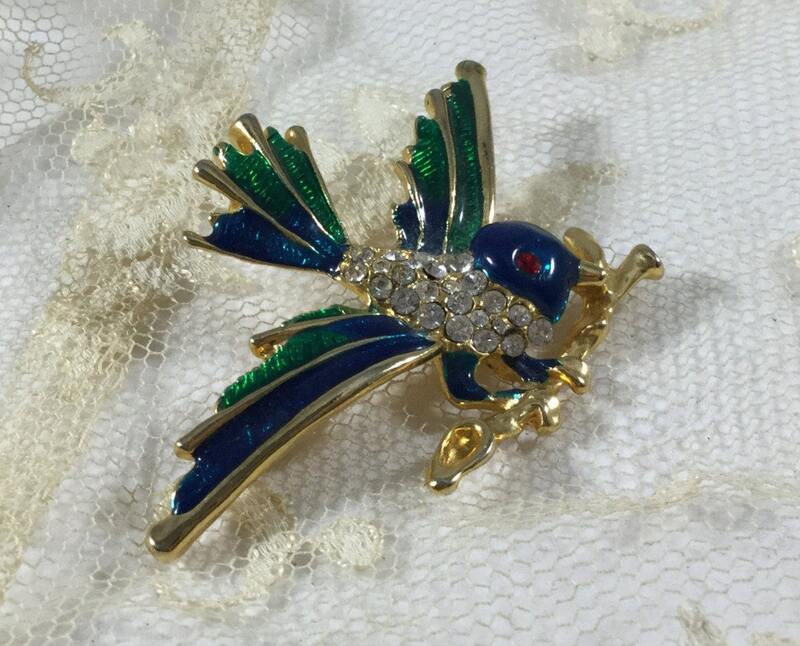 A very pretty bird brooch in excellent condition for wearing or gift giving! !